This lovely satin design makes the heels have a soft feel to the touch. The diamante cluster to the front adds a flair of elegance to these classic heels. 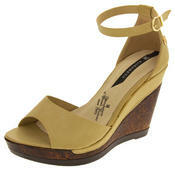 The peep toe design adds that extra quality and luxury and sets these heels above their competitors. The colours are so lovely you'll want to wear them everyday. Perfect for parties, going out on the town, bride, bridesmaids and other formal occasions. Turn heads with this stunning design.